Unique Santa Fe style, straw-bale home nestled in seclusion on 10 acres. Warm and sunny luxury BB accommodation - with stunning mountain views from every window. Relax and enjoy the sunset! Enjoy the peace and quietness in our new home and large garden privately situated beside Lake Dunstan on State Highway 8. Quality queen and twin accommodation with lake views. An attractive, restored villa, in an oasis of cottage gardens and trees. An oasis of calm amid the action and activities of a great town. Really close to the lakefront and an easy walk for retail therapy and dining. The Turret is perfectly situated in the historic Arrow Basin, looking out over picturesque Lake Hayes onto Coronet Peak, skiers' paradise. We warmly invite you to come and stay with us in our new, architecturally-designed home, set in two and a half acres of rolling countryside in the Wakatipu Basin. Self contained cottage, in the heart of Alexandra. 2 minutes from Alexandra'a historic Shakey Bridge and the famous Shakey Bridge Cafe. Set in almost half a hectare of lawns and gardens, surrounded by trees, this contemporary home takes full advantage of the unimpeded views across the lake to the mountains beyond. This beautifully restored 1900 Heritage Hotel on the main street of historic Clyde, offers boutique bed and breakfast accomodation. Forrester Lodge offers you a range of excellent accommodation and conference facilities encompassing traditional and modern at competitive rates. Arts Content B&B - Quality, absolute waterfront, self contained,cottage style accommodation on the Otago Peninsula. Enjoy sweeping, panoramic views of the harbour from the deck where you can dine alfresco. Ideal for a couple. The Stone Cottage nestles in a beautiful garden with the South Island's majestic Southern Alps as a backdrop. Secluded B&B accommodation nestled in a rural alpine valley surrounded by the spectacular Southern Alps of New Zealand. Larchwood House is set in a cottage garden and is very warm and sunny. Adelaide Street Guesthouse is perfectly situated in a quiet peaceful neighbourhood 50m from the shores of beautiful Lake Wakatipu, and yet only a short scenic walk from central Queenstown. Luxury Bed and Breakfast located on George Street in Dunedin. Exceptionally situated in Dunedin CBD close to university and hospital. 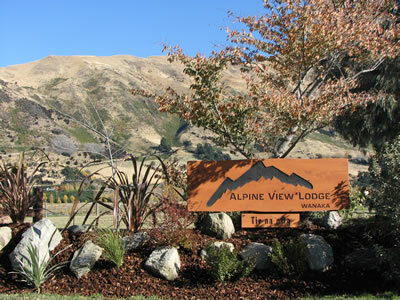 Crown View is situated on 8 rolling acres, with views of the Crown Range and the Remarkables. Our cozy historic cottage (circa 1870's) was virtually derelict, now lovingly restored and filled with rural memorabilia. Fully self-contained unit, 5 minutes from Dunedin\'s town centre. This modern homestay has 3 rooms. One queen with ensuite, one queen with share bathroom and one twin share with bathroom. New Zealand's only castle. Now fully furnished and restored. Larnach Castle has history, NZ antiques, panoramic tower views, beautiful gardens, master craftsmanship, tearooms and a gift shop. A delightful, historic, 1862 rammed earth cottage situated in the heart of Central Otago, surrounded by orchards and vineyards. Thyme Lane Cottage has been lovingly restored, its character and atmosphere retained, while providing first class facilities. Polly-Anna Cottage offers you a unique Bed & Breakfast experience in the heart of Historic Arrowtown. Our quaint 100 year-old cottage, in a lovely garden, is surrounded by spectacular mountains. Balmoral Lodge is situated on Queenstown hill, just 800 metres from the town centre, offering spectacular views of the lake and township from every room. Luxury bed and breakfast in a character villa (1880's). Centrally located just 10 minutes walk from town Coronet View enjoys superb views of Coronet Peak, The Remarkables and out to Lake Wakatipu. Our new single-storey, six bedroom home, Sequora Lodge, has been purpose-built as a bed and breakfast/homestay and is set on two acres close to town. Self contained bed and breakfast on the bank of the Taieri River at Outram. Mahara is one of two Edwardian homes built side by side in 1905. Still retaining it's Queen Anne revival features, Mahara now offers two guestrooms upstairs. A modern traditional Scottish house, set in an acre of gardens and lawns. Secluded Bed and Breakfast only 15 mins from Dunedin. 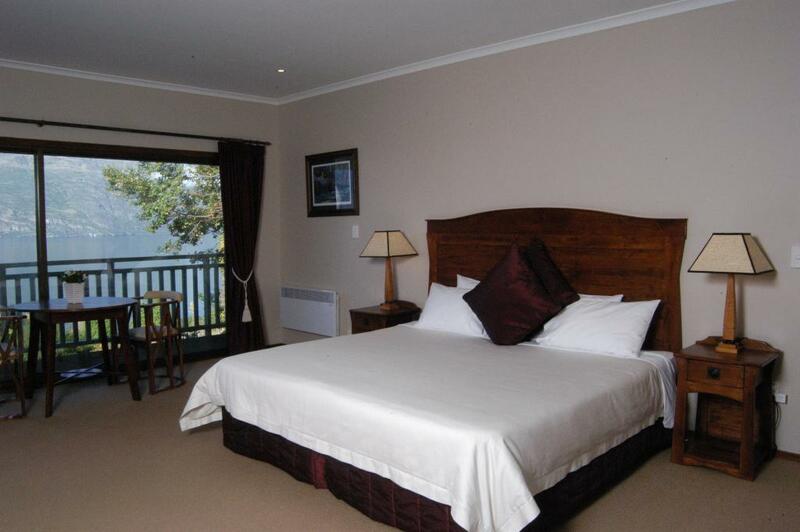 The Dairy Guesthouse provides luxury bed and breakfast accommodation in Queenstown, New Zealand. Experience fine lodging in the heart of Queenstown. Spectacular views of Mount Aspiring, Lake Wanaka and surrounding farmland. Get away from it all - experience the tranquillity. visiting wineries, adventure sports or just enjoying tranquillity and amazing views, then Wanaka is the place for you and Hawks Hill is where you should stay. The Tower House is situated close to the restaurants in Roslyn Village and is only a 10 minute downhill walk to the Octagon and the Dunedin Visitor Centre. The Stone House offers exclusive and intimate boutique accommodation, combining personalised old-world charm and modern comforts. The Ferry Hotel Guest House is a charming 125 Year old former Hotel which is now operating as a Bed and Breakfast Guest House. Warm, comfortable accommodation on the main street of Dunedin City. Close to the university, botanic gardens, Otago Museum, and the city centre. Homestay/bed and breakfast in a non smoking family home. A beautifully appointed home close to the historic centre of Arrowtown. Elgin House Boutique Bed & Breakfast in Dunedin, New Zealand, provides luxury accommodation in the elegant suburb of Mornington. Dalmore Lodge Bed & Breakfast is situated overlooking Dunedin City, Otago Harbour and Pacific Ocean. Enjoy comfortable self-contained units or Bed and Breakfast style accommodation, overlooking the Otago Harbour. Aberdeen B&B is a large, warm house, set in a quiet, sunny enclave on St Clair headland with spectacular views of beach and peninsula. Nestled in a grove of trees, 14km north of Dunedin on SH1 in close proximity to the bay and beautiful beaches. Nestledowns setting is picture perfect - an elegant, superior "Tuscan" country house with rustic alpine charm framed by majestic mountains. This executive Bed and Breakfast set within our vineyard provides both privacy and tranquillity. Our purpose designed guest wing, constructed in 1996 is the perfect place to relax and unwind. Hulbert House, a Victorian Villa of 17 rooms, has provided Old World hospitality for over a century. Minaret Lodge is a sanctuary, set in a 2 acre park-like setting, providing luxury accommodation in Wanaka New Zealand. Te Wanaka Lodge is unique in its design and use of local materials and craftsmanship. Nestled in the heart of Wanaka, Te Wanaka Lodge is two minute walk to the lake, restaurants, shops and golf course. Queenstown accommodation, great views, low tariff and close to town - Chocolate Chilli is a local treat! Beautiful views of Portobello Bay and surrounding hills. Arrowtown Alpine Home offers you a comfortable, relaxing stay in a gracious 15-year-old home designed by an award winning architect, just minutes walk from the village. Historic stone cottage and stables both with ensuites situated amidst 400 white roses in garden setting. Your well travelled hosts welcome you to experience comfort and great views of rivers and orchards at their property situated above the junction of the Clutha and the Manuherikia Rivers. Panoramic views of the mountains and Lake Wakatipu. Arrowtown House is in the historic precinct of the township with tree-lined avenues and is a two minute stroll to the main street shops, cafes, restaurants, art galleries and new Arthouse cinema. Panoramic harbour views in this character home situated in Broad Bay. Our comfortable home has a large north facing lounge area which opens onto a spacious sun deck, with outdoor furniture for those "laid back" days. 1920's Boutique Wanaka, Hawea self contained cottage accommodation, B&B peaceful country setting. Corstorphine House is a private hotel in Dunedin on the South Island of New Zealand. Built in 1863, it is one of the finest historic homes in the country. New Zealand's widely respected Qualmark has awarded its New Zealand luxury accommodation five stars. We welcome you into our architecturally designed home, peacefully set next to Wanaka Station Park, where you can share our captivating lake and mountain views. Located at Luggate Creek, only 12km South of Wanaka and ideally placed for access to other great holiday destinations in the lower South Island. If a peaceful, rural setting is what you seek, then look no further. Peak-Sportchalet, a friendly, smoke-free accommodation with a warm touch. We are situated in a quiet part of the town. Only 5 min. walk to the Lake (Bremner Bay) and a beautiful walkway to town along the lake. Delightful homestay overlooking Otago Harbour and near the high road to Larnach Castle. Dublin Downs is situated at the base of Mt Maude in a rural area with spectacular views from the garden of the pastoral Maungawera Valley and the Southern Alps. A stately bed and breakfast homestay in the heart of Dunedin with commanding veiws of the city and harbour. Larch Hill Home-stay is built on an elevated site overlooking the blue waters of lake Wakatipu. Queenstown Lake Hayes, Luxury Bed and breakfast, with the personal comfort of a unique private home. On the waterfront with sweeping views of the peninsula from the decks and living rooms. Enjoy the peace and quiet of the country, wonderful wildlife, with a beautiful beach just five minutes walk away. Quiet and personable, handsome Tudor residence built in 1938 . The Number 12 Bed and Breakfast Queenstown has excellent views onto the Remarkable's Mountain Range and Queenstown Lake Wakatipu. Two luxury queen size double rooms available for short term accommodation. Private ensuite bathrooms with spa bath and showers. Kitchen facilities, sky tv and garaging available. Panoramic ocean views and adjacent the beach. Clifton House Bed & Breakfast is set in 50 acres of rural countryside, nestled beneath the stunning mountain ranges of Coronet Peak and the Remarkables. Make the region where The Lord of the Rings was filmed the location of your next bed and breakfast vacation in Queenstown, New Zealand. Pencarrow Bed and Breakfast commands its hillside site. Named for New Zealand's first lighthouse, and new discoveries, Pencarrow provides extensive indoor and outdoor space for the guests. Self contained unit, with private entrance. Rural setting amongst newly planted grape vines. Continental breakfast provided. Our self-contained guest accommodation assures you privacy and comfort. Combined with a warm welcome into our home, you can share with us the peaceful and relaxing setting of our cherry orchard. A warm welcome to my lovely two-storey, five bedroom home situated in a quiet location with mountain and lake views and within a short stroll to the lake walking track. One of Dunedin's finest remaining examples of 19th century architecture, with open fires, four poster comfy beds, fresh flowers. Luxury! Outstanding accommodation; sensational setting; incredible experience. Come and stay in quiet, peaceful surroundings, 10km from the centre of Dunedin with views of the harbour and hills, and the sounds of native birds. A beautiful 1860s Victorian mansion situated right in the heart of Dunedin. Combining wildlife tours and superior accomodation for the discerning nature-lover. Spacious bedroom suites for long or short stays, Anubis has been built for the purpose of B&B accomodation. Historic boutique accommodation and restaurant set in schist stone buildings and english gardens dating back to 1863. Spectacular views of Dunedin's harbour basin. Harbourview is located at the entrance to the Otago Peninsula and is only 5 minutes from Dunedin City centre. Beautiful mountain views from the bedrooms. Two self-contained cottages which share the lush garden, offer harbour views and good levels of privacy and above all, peace and quiet. Your hosts Brian and Susanne welcome you to our relaxing home and garden. We are down to earth Kiwi’s with only one thing in mind, making this your home away from home. Relax and enjoy your stay at the Swiss-styled Chalet Queenstown. Chalet Queenstown is a bed and breakfast offering quality accommodation and friendly personal service. 'Harpers' is B&B Homestay accommodation in Lake Wanaka where friendliness, comfort and visitors needs are a priority. We provide a tranquil, peaceful and quiet environment where you are surrounded by our extensive garden. Welcome to Villa Amo in its tranquil lakeside setting on the shore of Lake Dunstan. Relax and enjoy warm hospitality while taking in the breathtaking lake and rugged mountain views. Quality, Bed and Breakfast Accommodation - right in the heart of Wanaka township. One minute's walk to a fine range of cafes, bars, shops & restaurants and only three minutes walk to the lake edge, yet quiet and peaceful. Located in the heart of Queenstown, Turner Lodge is a great base for your holiday. Luxury accommodation on a relaxing 21 acre rural retreat close to Dunedin, the airport and wildlife. Brand new, with panoramic mountain and sea views, warm hospitality and exclusive guided ecotours. Evergreen Lodge provides award-winning, luxury accommodation in Queenstown, New Zealand's premier resort. Overlooking the magnificent Lake Wakatipu, Evergreen Lodge offers guests a standard of service and care that is second to none.